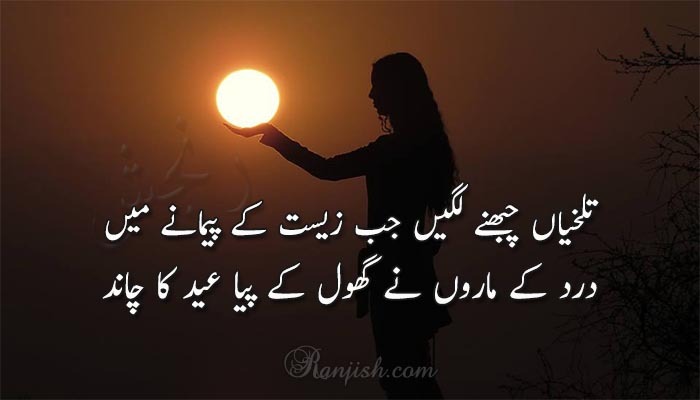 Ranjish.com has lots of Urdu Eid Shayari Poetry. Feel free to add your own Eid Shayari Shayari here. 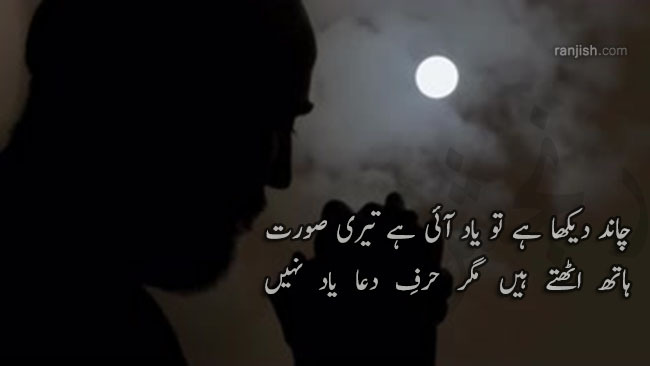 Eid Shayari is poetry on eid festival. Eid Shayari and Eid Poetry is the same thing. Eid Poetry is read when eid festival is near and people need to wish their loved ones Eid wishes. Bakra Eid Shayari is another keyword for Eid Shayari. Eid Shayari is loved all over the world, wherever the muslims are. 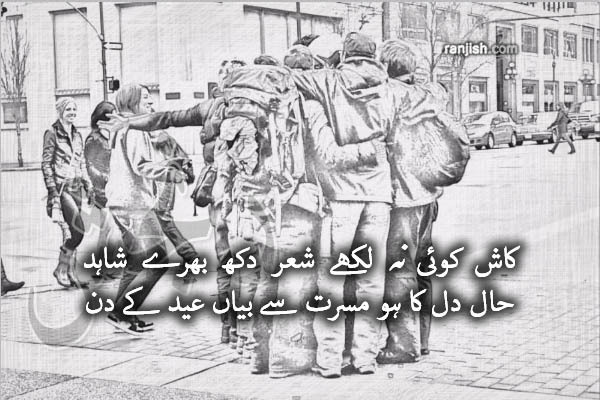 Muslims use Urdu Eid Poetry to wish their friends and family eid. The word “Eid Mubarak” is used to wish eid greetings. 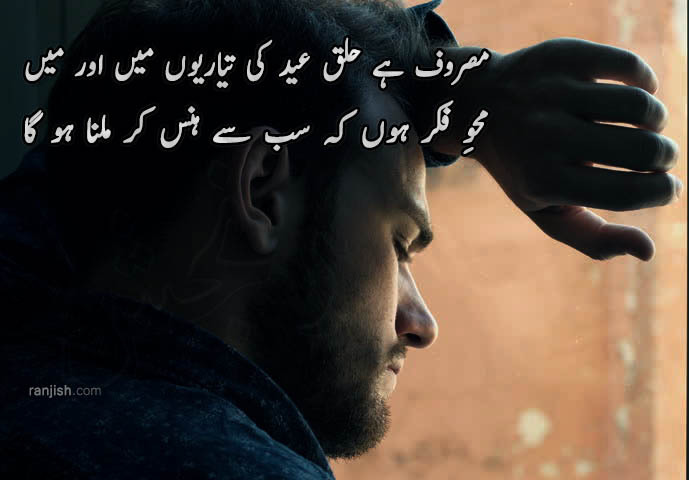 Iss eid pe laut ke aa jana..
Aaj bohat saalon baad maine eid manayi hai..
We update our poetry database on daily basis so keep coming back for more Eid Shayari.